The Union has offices in both Edinburgh and Leeds. 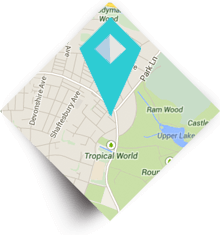 We are proud to be based in two top UK cities; however our main base is in Edinburgh, near to the Royal Botanic Gardens. This guide has been compiled by Union staff; to help any visitors to Scotland’s capital city. It may even be of interest to those who think they know the city, as there are some useful tips for things to see and do, as well as a great selection of restaurants and pubs. "Half a capital and half a country town, the whole city leads a double existence; it has long trances of the one and flashes of the other; like the King of the Black Isles, it is half alive and half a monumental marble." Although the city centre is relatively compact and easy to get around we’d recommend taking some comfortable shoes with you – Edinburgh is built on seven hills so expect some climbing. And remember to bring your waterproof jacket or umbrella – Scotland is not famed for its tropical weather! If you’re wondering what to tip in Scotland, look no further, it’s usual to tip around 10% in restaurants; although look out because a service charge may be included in the bill. It’s not usual to tip bar staff and it’s discretionary as to whether you want to tip your taxi driver. Edinburgh is easy to get around with most attractions within an easy walking distance. Leith and Portobello are slightly further from the centre and depending on the weather you might want to take public transport. Edinburgh has regular buses and trams to get you from point A to B, download the ‘Transport for Edinburgh’ bus and tram app to plan your journey. Also make sure to carry exact change for the bus (£1.60 for a single journey). There are a number of options when getting to and from Edinburgh Airport. Taxis cost around £20 - £30 from the city centre (try Central Taxis on 0131 229 2468 or Capital Cars on 0131 777 7777). Alternatively take the airport bus that leaves from Waverley Bridge every ten minutes throughout the day and on a reduced service throughout the night (tickets are £4.50 for a single). The tram also goes to the airport; try using the ‘Transport for Edinburgh’ app to plan this. View of Edinburgh and Balmoral Hotel from top of Calton Hill. The city’s name was originally Dunedin (Din Eidyn), which in Scots Gaelic translates as the ‘fort on the rock’. A fortification (probably wooden) was established on the Castle Rock around the start of the 7th Century AD. The city originates from this first settlement; with people living just outside the fort for safety. Edinburgh Castle viewed from the top of Arthur’s Seat. Today this part of the city is called the Old Town - the buildings stretching from the Castle down the hill to the Palace of Holyrood (the Queen’s residence) - the ‘High Street’ - a route which is also known as the ‘Royal Mile’. It is medieval in character with narrow alleys and higglety-pigglety houses and shops. This is the tourist hub for obvious reasons, but nevertheless authentic and pleasing to the eye. It’s the location of plagues, executions, battles and much more. You can feel the past calling you at every turn; in the names of the ‘closes’ (little alleys), the cobbled streets, and the buildings. Holyrood Palace, the Queen’s official residence when in Edinburgh. But Edinburgh also has a New Town. (We call it the ‘New Town’ but it dates from 1767; so it’s all a matter of perspective.) This is the best example of Georgian style architecture in the world (also a World Heritage site) and was built on virgin land to the North of the Castle, laid out in a grand plan - with wide streets, squares and solid buildings. (The original planner, James Craig, was only 26 years old.) It was built partly because the rich folk got fed up of the old medieval town - which was crowded and smelly. So from 1767 to about 1850, they built a fabulous New Town for themselves - probably the oldest ‘new town’ in the world. Royal Circus in the New Town. Scotland, or the Stuart dynasty, rose against the English (the Hanoverians) in 1745. Bonnie Prince Charlie, the ‘Young Pretender’ to the British Crown, raised a Jacobite army in the Highlands, with French support, and marched against the Hanoverians under King George I. Charlie, after making dramatic progress, was eventually defeated at the Battle of Culloden Moor, near Inverness, in 1746. (This was the last pitched battle on British soil.) Thus, in the 1760s the people of Edinburgh wished to show their loyalty to the Hanoverians and King George - which is why we have the New Town’s street names - Princes Street (the King had two sons), Queen Street, George Street, Saxe-Coburg Square, etc. "Edinburgh, which considered itself for intellectual reasons the 'Athens of the North' set out after 1810 to continue in a more Athenian mode the extension of her New Town begun in the 1760s. The results rival St Petersburg as well as Copenhagen, Berlin and Munich. Indeed in Edinburgh, what was built between 1760 and 1860 provides still the most extensive example of a Romantic Classical city in the world." The two parts of Edinburgh are 100% different - and it is well worth taking each in separately, our ‘two towns in one city’. Fishmarket Close in the Old Town. In between the new and old towns lie the Princes Street Gardens, in the dip below the Castle. Originally this was a loch (lake) called the Nor’ Loch. It had become a refuse dump for the Old Town. (Edinburgh has a nickname - ‘Auld Reekie’ - which translates as ‘Old Smelly’.) As well as the Gardens, this area is home to the Royal Scottish Academy and the National Galleries. Also the pointed Scott Monument, to our national ‘writer’, Sir Walter Scott. The central railway station, Waverley, also lies in the dip between the two towns. The Scott Monument on Princes Street. Edinburgh is a great walking city; so you are encouraged to take a couple of hours to walk the length and breadth of the central area; you will not be disappointed. "The main side streets are narrow, filthy and with six story houses; one has to think of the great buildings in the dirty towns of Italy; poverty and misery seem to peep out of the open hatches which normally serve as windows." Like many European cities, eating out in Edinburgh has advanced massively over the last ten years. It is said that the city boasts more restaurants per capita than anywhere in Europe, but whether that is true or not, we are blessed with some wonderful places to eat. Everything from the local ‘chippie’ (fish and chips) to Michelin star restaurants. Here are a few of our favourites. A firm favourite for high quality, fresh and traditional food. If you get the right seats near the back windows you will have unrivalled views of the castle. A wee bit on the higher price range but worth it for a special evening. A hidden gem tucked down Fishmarket close, just off the Royal Mile. The restaurant is owned by Michael Neave, a young Scottish chef. The surroundings are modern and the food and cocktails excellent. If you’re looking for somewhere extra special, this is the height of unique Scottish luxury in the heart of the old town. Alongside the Scottish seafood, beef, lamb and game you'd expect to find, you'll also see the Witchery's legendary Angus beef steak tartare, briny-fresh seafood platters and even some haggis featuring on the menu. A down to earth restaurant that has the feeling of dining in someone’s living room! Fantastic food that will often use unusual cuts of meat (ox cheek, crispy pigs ears), but also includes firm favourites (steak, fish and chips etc). Based centrally on Hanover Street. One of award-winning chef Tom Kitchin’s places. Down on the Leith waterfront (Edinburgh’s port), it is popular with those looking for fine dining. His style is traditional Scottish produce using French techniques. Another up and coming Scottish chef, this restaurant on Castle Street in the New Town is a must if you are looking for fine dining. It sounds Italian, but it’s Edinburgh’s best ‘chippie’ founded in 1975. You ask for a ‘fish supper’ and make sure to ask for ‘salt n’ sauce’ (pronounced ‘salt n’ soz’) with your chips. A local Italian favourite, look out for their cheeky yellow delivery cars around town - main courses around £10.00 - £14.00. You can find a few of their sister Vittoria Group restaurants dotted around town which are just as good! A high end Thai restaurant situated on Castle Street. Based on the top floor they have beautiful views across to the Castle. They also have a conservatory and roof terrace for warmer weather too. Traditional Thai curries and stir-fried dishes range from £9.95 - £18.00. Tapas style Indian restaurant (sounds odd, but is a brilliant concept) with a fantastic variety of authentic dishes. We love that you can order a few different dishes and try them all! Around £5.00 per dish. (They recommend 3 or 4 dishes between 2). You might struggle to find this, it’s so hidden away. A lovely basement Italian restaurant with a wonderful wine list. You’ll feel like you’re in the in-crowd here. For genuine French bistro dining. At the West End of Princes Street. Excellent value for good honest French cuisine. Another French bistro. Cozy and unpretentious, offering real value for money. On Thistle Street, off the beaten track a bit. If you have a sweet tooth, this award winning bakery is a must. They have three bakeries dotted about the city, the original and largest is down in Leith by The Shore, decorated in a 1940s style. Specialising in delicious traybakes and cakes, their afternoon tea is also a great treat. At the bottom of Dundas Street (and also now in Bruntsfield) Cuckoo’s creates the most amazing and unique cupcakes. For the past two years they’ve won the 'best individual cake in Scotland ’ award! Classics, including their black bottom cupcake and the raspberry and white chocolate cupcake, are to die for. But also look out for their special edition themed cupcakes, including gory looking Halloween limited editions, and Friday cocktail cupcakes. Scotland is famed for its whisky but that’s not all it has to offer. Edinburgh boasts a wide range of bars, pubs and even gin distilleries, so make the most of your stay here and sample some of our finest. This great bar and restaurant is housed in an old Victorian pump house, tucked down Advocates Close just off the Royal Mile. It holds an impressive collection of Scottish and world whiskies. A variety of seasonal cocktails, wine and craft beers are also on offer. The home of Edinburgh Gin, this bar features two stills, one column and one pot within the bar giving guests the opportunity to see gin distilling up close and personal. Edinburgh Gin distillery tours are also available as well as guided tasting experiences. Note: this place is often booked out; so check before you visit. Both a restaurant and a bar, The Bon Vivant is tucked away on Thistle Street and offers a variety of tasty European dishes along side a good selection of wine and cocktails. This bar is a mix of a classic prohibition style speakeasy and a vintage barbershop. They serve unusual cocktails, good beer and a wide selection of wine in a unique setting – easy to miss this great bar as the front looks like a barbers shop and you enter through a secret bookshelf! This popular Victorian bar offers revellers the chance to sample a variety of different whiskies alongside a rotation of ales from the islands and highlands of Scotland, all within a setting that looks as though it hasn’t changed much since 1863. Can be a bit touristy, but you will still find some grumpy locals. This little cocktail bar is hidden in a Queen Street cellar, but don’t let looks deceive you, this bar is one of Edinburgh’s best. The cocktails are renowned for their quality and inventiveness. This shop, bar and restaurant offers over 300 malts and blended whiskies - and anything you sample in the bar should be available to take home from their shop. If you feel like you need a bit more expert advice or guidance when it comes to whisky then why not try one of their tasting options. Although it is possible to head straight to the whisky bar, we would recommend taking the opportunity to go on one of the whisky tours. One of their whisky experts will be able to impart a wealth of whisky knowledge before you sample the national drink. This traditional pub is hugely popular with the locals. Situated in a peaceful part of New Town it boasts what is arguably the best beer garden in Edinburgh, and most importantly it’s heated in winter! When you arrive here you will be made to feel unwelcome. It is a local pub down an alley, and the customers covet their pub. But don’t be put off; smile and be confident, eventually you will be accepted. Head for the back room. It’s not fancy, for sure, but it’s real. For readers of Ian Rankin’s Rebus crime novels, this is where Rebus (an alcoholic policeman) drinks. In the heart of the New Town, snuggled amongst huge Georgian houses, just off the poshest street of them all, India Street, you will find Kay’s Bar. It’s in Jamaica Street, which used to be where servants, prostitutes and brigands lived. (No longer, we hasten to add!) Kay’s Bar is a wee gem of a pub. You’ll struggle to find a smaller pub in Edinburgh. It also has some strange rules - so as not to upset the gentry - you are forbidden to sing, or even ‘clink’ your glasses with a ‘cheers’, after 10pm. The wealthy need their beauty sleep. This pub is a little out of the city centre, based in Edinburgh’s ‘posh’ area, Morningside. ‘Canny Man’ translates as ‘clever (or cunning) man’. It is without doubt one of the cities finest public houses, well known far and wide for its quirky nature and cluttered old fashioned décor. It was established in 1871 by James Kerr and is still going strong. NOTE ON WHAT TO DRINK: The local beer is Deuchars from the Caledonian Brewery; one of The Union’s clients. Also try Caledonian 80 shilling, Three Hop, and if can find them, ales from the Isle of Skye Brewery. For whisky you can’t go wrong with The Macallan (a Speyside - smooth/light); The Dalmore (Highland/sweet/rich); Talisker (Skye) or Lagavulin (Islay), both peaty, strong, and seaweed! There are plenty of Scottish gins – Edinburgh Gin, The Botanist (Islay), Pickering’s (Edinburgh) and Eden Mill (St Andrews) are all worth a try. You can’t come to Scotland without tasting the whisky; The Dalmore is highly recommended. "I do get recognised, but I must say Edinburgh is a fantastic city to live if you're well-known. There is an innate respect for privacy in Edinburgh people, and I also think they're used to seeing me walking around, so I don't think I'm a very big deal"
Being Scottish, we can’t make any promises about good weather, but we can guarantee that Edinburgh can offer you plenty of things to see and do regardless of whether it is raining sideways or full on sunshine. (Or both in the same day, as is often the case.) Here are our top suggestions for great things to do in the city. The Castle is the visitor attraction in Edinburgh and seems even bigger from the inside than it does from the outside. Take the tour round the historical displays and re-enactments. St Margaret’s Chapel within the castle is also noteworthy as the oldest surviving building in the city. Even if you don't have time for the whole tour, head up to the Esplanade on a clear day for panoramic views of the city. The Castle dominates Edinburgh’s skyline. Her Majesty’s Yacht Britannia is the former royal yacht of Queen Elizabeth II. Since its retirement in 1997 it has been docked at Ocean Terminal in Leith and is open to the public. Visit Britannia for a great piece of history and insight into the lives of the royal family as they travelled round the world. Dolly the Sheep, a T-Rex skeleton, one million pounds in cash; we have it all and more in Edinburgh’s museums. From the traditional art and history galleries to something more unusual like The Museum of Childhood or Our Dynamic Earth, you will be spoiled for choice. Many are free to enter and none are prohibitively expensive. For an added bonus hop up to the 7th floor rooftop garden at the National Museum of Scotland on Chambers Street. Free to visit and lovely on a bright morning. The Museum of Scotland on Chambers street is an ideal escape if it’s a rainy day. The Edinburgh Dungeon is one of Edinburgh’s biggest tourist attractions. At The Dungeon you will be guided by live actors through 360-degree sets and be told stories of Edinburgh’s gruesome medieval history. Also includes two underground rides. It is hard to miss this large rocky hill rising out of an eastern section of the city. Arthur’s Seat is the summit of the hill that rises out of Holyrood Park. (Both Arthur’s Seat and Castle Rock are the remains of volcano cores, left after a huge glacier swept across the land millions of years ago.) If you have sturdy footwear with you not much can beat hiking up to Arthur’s Seat on a nice day and looking out across the city. If you have forgotten your walking boots you can also still get pretty far up the hill by road, but beware of the one-way system. On a nice day Arthur’s Seat is very popular. Calton Hill offers excellent views of the city, and it’s a less demanding climb. Bus tours are a great way to see more of the city, including all the top spots. Hop-on, hop-off tickets give you the flexibility to stop and explore different areas as they take your fancy and guided commentary in 10 languages will keep you informed as you go round. Some tickets include access to attractions such as the Royal Yacht Britannia and the Castle. If you are looking for a stroll round the city we recommend Old Town, to the south of the Castle. Here you can wonder up the Royal Mile past boutique shops to the Castle Esplanade. Just down the hill the Grassmarket (very near to your hotel) is bustling with cafes and bars. From there head up to the statue of Greyfriar’s Bobby, which immortalises the story of a loyal terrier dog who guarded his former owner’s grave for 14 years. Make sure to touch Bobby’s nose for luck! Edinburgh’s Old Town sprawls down the hill from the Castle. The Botanics in the heart of Edinburgh’s New Town is the second oldest botanic garden in Britain, with 70 acres of diverse plant life. The Union’s office are just next door. Visit the Botanics for a relaxing couple of hours wondering through a very tranquil part of Edinburgh and for great views of the Edinburgh skyline. From the 13th October to the 6th November the Botanics will also be running their annual Lights show in the evenings, which is a delight to behold. Make sure to book in advance to avoid missing out. An oasis of calm in the city, the Royal Botanical Gardens. One of Edinburgh’s real hidden gems; just next door to the Castle. Camera Obscura and World of Illusions is a museum of visual illusions, and is Edinburgh’s oldest visitor attraction. Start your tour at the top level of the tower with the 19th century pinhole camera, from which the attraction takes its name, for great views of the Edinburgh skyline. From there work your way down through five levels of displays and illusions for a great way to spend a couple of hours – whatever the weather. It’s on George 4th Bridge and it’s the place where JK Rowling sat and created the first Harry Potter book. Sit in the chair she used, as an impoverished single Mum, with her baby in a pram next to her. "The view of Edinburgh from the road before you enter Leith is quite enchanting: it is, as Albert said, fairy-like." For this article we asked Unionites for their local favourites and hidden secrets of Edinburgh. Our aim was to recommend some places to eat, drink, visit and see that you would not necessarily find in a traditional guidebook, but are well worth your time to visit. We think that Mary’s Milk Bar is the best place in the city (and beyond) to get yourself some fresh, homemade ice-cream and milkshakes. The owner, Mary, is a former chocolatier and graduate of the prestigious Carpigiani Gelato University in Italy. Make sure you time your visit right though; they sell out on warm weekends and are closed on Mondays. We recommend heading on a Friday if you are still in Edinburgh when they receive fresh doughnuts from the incredible Twelve Triangles bakery for you to enjoy cut in half and filled with ice cream. Please note Mary’s Milk Bar is cash only. Ting Thai Caravan is one of our top ‘local favourite’ restaurants. This is no-nonsense street food style Thai food of the best quality. You won’t be able to book a table and there can be queues on busy nights but things move quickly and the food is worth the short wait. The bubble prawns, noodles with vegetables and meat and the battered sweet potatoes are all great choices if you don’t know what to have. Tired of having your tea at Starbucks and looking for something a bit different? Anteaques on Clerk Street is a delightful fusion of antiques store and high quality teashop. Choose from an extensive selection of loose tealeaves and enjoy your refreshment in real style. This place is more than just a teashop in an antiques shop – the tea is available to buy and take away and is served in-store in beautiful china or glass pots. To ensure a spot, call ahead and reserve a seat, or take your chances and just drop in. Exit Plan live escape game is an ideal choice for a rainy Edinburgh afternoon. You and your friends or family will get an hour to solve a number of puzzles to escape the room. At Exit Plan you can choose from one of three scenarios. Our Union Connect team recently spent an afternoon there team building and have been raving about it ever since. Whilst Princes Street and George Street represent the pinnacle for shopping in Edinburgh you can still find some amazing small suppliers by wandering off the beaten track. Broughton Street has a number of boutique shops run by local artists and suppliers. On Thistle Street you will find top quality brands for women such as Covet, ALC and Pam Jenkins. Head to Smith and Gertrude or Mellis in Stockbridge for wine and cheese, Herbie for a range of lovely pâtés, and Cocoa, which sells artisanal chocolate made with gin or haggis spices. Dominion is a family owned Art Deco cinema in the Morningside area of the city and a real local favourite. Housed in a listed building with four screens, the cinema shows new releases as well as artistic classics. Enjoy your movie in comfort and style with a glass of wine and comfy sofas, complete with footstools and side tables! The market in Stockbridge is open every Sunday from 10am to 5pm and has a great selection of street food, high quality fresh foods, original artwork and crafts from independent small traders. The market is always bustling on a nice day and after you are finished the Botanic Garden, Dean Village and Inverleith Park are all nearby. The same organisers also run markets in the Grassmarket, Leith and Fountainbridge. Stockbridge has a village feel, yet it is close to the city’s centre. This beautiful 17th century garden is hidden away at the end of a close off the bottom of the Royal Mile. Step out from a busy city centre street in to a pocket of peacefulness, with views of Calton Hill. Bring your lunch or a coffee and enjoy it on one of the garden’s stone benches. One of the real secrets of Edinburgh, Dunbar’s Close Garden is easy to miss if you don’t know what you are looking for. Dean Village is an oasis of tranquility within Edinburgh, only five minutes from Princes Street. 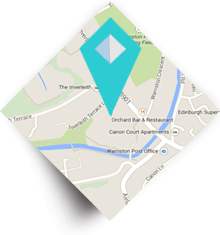 We recommend talking a stroll up the Water of Leith from Stockbridge (perhaps after visiting the Sunday market?) through Dean Gardens. This former milling village fell in to disrepair before being recognised for its tranquility and is now restored. It is full of picturesque buildings and is only a short walk from the Dean Gallery and Gallery of Modern Art. The Water of Leith path passes close by to the Union’s offices. The oldest pub in Edinburgh can be found on the far side of Holyrood Park in Duddingston, making it a good option for a pint or lunch after climbing Arthur’s Seat. This pub is steeped in history and has a great selection of food and beer, but isn’t as busy as its city centre alternatives. For extra entertainment you can find an old-fashioned wooden ‘skittle’ (or bowling) alley in the back. This has its origins in the 16th century when King James VI of Scotland & I of England frequented the pub to enjoy a game of skittles in the back yard! It is still a royal favourite to this day; Her Majesty the Queen made a surprise visit for a drink and a meal as recently as July! Take a walk down the Royal Mile. Start at the Castle Esplanade for the views. Walk down to Parliament Square and take in St Giles Kirk. If you look carefully you will see a heart in the cobbles. This is the ‘Heart of Midlothian’ - the centre of the city. It stands where the Old Tollbooth (prison and torture house) was situated - where people were taken to be hanged, drawn and quartered. Spit into the middle of the heart - for luck! The story goes that the condemned used to spit on it - as they were about to be hanged - a last gesture of defiance to their tormentors. But today it has become an Edinburgh custom - for good luck. Walk down all the way past John Knox’s house, to the Palace of Holyrood, and the new Parliament buildings at the end of the ‘Royal Mile’. Holyrood Palace has a nice cafe, and if it’s a sunny day you can sit outside. "This (the Royal Mile) is, perhaps the largest, longest, and finest street for buildings and number of inhabitants not in Britain only, but in the World." Daniel Defoe, A Tour Through the Whole Island of Great Britain. The kirk of St Giles on the Royal Mile, the central point of the city. At the corner of Princes Street and St Andrews Square you will find Edinburgh’s famous department store – known as ‘Harrods of the North’. The main hall is impressive and worth a quick look. The Irish are famous for their folk music, but Scotland also has a rich heritage of folk music, which has greatly influenced music in the USA. At Sandy Bell’s there is often live music. It’s usually a real crush and all rather shambolic, but the music excellent. "Robert Louis Stevenson spent many holidays in North Berwick town as a child and young man. His father, Thomas Stevenson, the famous engineer and lighthouse builder, took his family to stay in various locations in the town. The island of Fidra is said to be the original inspiration for Treasure Island, and much of his novel Catriona (the sequel to Kidnapped) is set locally." If you have made the decision to stay in Edinburgh for a little bit longer, you may consider exploring outside Edinburgh, there is so much to see. Around 5km or so outside of the city is the seaside suburb of Portobello, well served by local buses. It used to be a busy summer resort, before people started holidaying abroad. Enjoy a brisk walk on the expansive beach promenade and stop off for fish and chips or ice cream on the way! Around 25 miles north east of Edinburgh is one of our favourite East Lothian seaside towns. It boasts fantastic beaches, coastal views, golf courses and the town itself is very picturesque. You’ll find lots of lovely cafés, ice cream parlours and fish and chip eateries. In particular, Alanda’s Geletaria and Steampunk coffee are regular haunts of ours. Open to the public since 2014, The Kelpies are two monumental steel sculptures (100 feet high!) depicting the heads of mythical Scottish water spirits - the ‘kelpies’. Based in Helix Park, near Falkirk, these are the world’s largest equine sculptures, and if you take the guided tour you can even experience a Kelpie from the inside to marvel at their engineering and design. Escape the city in the beauty of the Pentland Hills, a great place for walking whatever your fitness level. For a gentler ramble try walking round Threipmuir and Harlaw reservoirs. Suggested routes and how to get there can be found clicking on the title. The Pentland Hills are ideal for walking; weather permitting. 45 miles west of Edinburgh is our central belt neighbour, the cosmopolitan city of Glasgow. Known for its music, nightlife and varied shopping offering it’s well worth a day trip or overnight stay. It’s only 50 minutes on the train from Waverley Station; and the trains run every 15 minutes on weekdays. If you get time, this historical city (about an hour from Edinburgh) is home to Stirling Castle, one of the grandest castles in Scotland. The architecture, history and beautiful scenery are really impressive. You can also visit The Wallace Monument, an imposing tower perched on a hill above the city; which celebrates a national hero; better known by Mel GIbson’s portrayal in Braveheart. Follow the story of Sir William Wallace, patriot, martyr and Guardian of Scotland. If you’re feeling fit you can climb the 246 steps to the top for stunning panoramic views. Also worth a visit is The Battle of Bannockburn Experience, which puts you in the heart of the historical action. Take your place on the battlefield. Stand face-to-face with fearless medieval warriors. Witness two opposing kings – Robert the Bruce and Edward II – whose tactics in 1314 changed the path of Scotland’s history, forever. With cutting edge 3D technology, you can experience medieval combat like never before and learn about this crucial event in Scottish history. Outdoors, the landscaping and parkland around the centre allows visitors to appreciate the battleground and restored commemorative monuments. Situated between Falkirk and Edinburgh, this royal town is famous for its Palace, birthplace of Mary Queen of Scots. Explore the ruins, learn about the domestic life of Scottish royalty and admire the elegant architecture. You can also take a boat trip on the Union Canal. This little chapel, about 40 minutes to the South of the city, used to get about 30,000 visitors a year. But after Dan Brown told us, in his book ‘The Da Vinci Code’ that it was where the Holy Grail was hidden, visitor numbers rocketed to almost 300,000. It’s not quite so busy these days, but there is a special visitor centre and the building has been lovingly restored, a project which took about three years. You may not find the Holy Grail, but the place is steeped in mystery and gory tales, and makes for an enchanting day out. Rosslyn Chapel: can you find the Holy Grail? A short train ride from Edinburgh going north brings you to the historic town of South Queensferry. The town has some nice pubs and cafes, and boasts stunning views of the three bridges which cross the Firth of Forth. The Victorian Forth Bridge (the first bridge, built in 1890 and carrying the rail line) is the most iconic, a UNESCO World Heritage site. The Forth Road Bridge was completed in 1967, and the newest bridge, the Queensferry Crossing, is due to open in 2017. The Forth Bridge, viewed from South Queensferry. Copy and research: Ross Macdonald, Ian McAteer, Kara Anderson, Laura Jones. Photography: Jim Gaffney (black and white), Ian McAteer (colour). Copyright in text and colour photos belongs to The Union Advertising Agency Ltd; black and white photography copyright property of Jim Gaffney.